​Airships & Automata - A Steampunk Compendium. A collection of new and original steampunk short stories by up and coming as well as established authors in the genre. A young man is drawn into an unusual - and lethal - game of chance. BB Blackdog's No. 2 CD contains the first of a series of stories, written by me from an outline from the band, illustrated by Russ Leach. 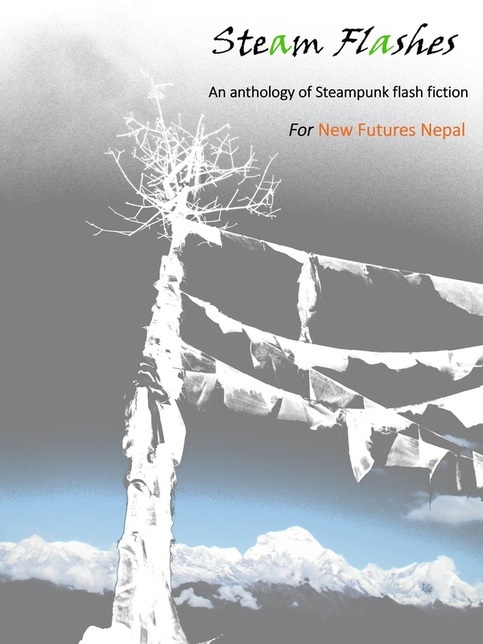 A collection of steampunk flash fiction in aid of New Futures Nepal. A collection of poetry reflecting upon the darkness and light of life that exists within this world of ours. What makes you want to shout out and share your emotions? Express your darkest times or your happiest moments? Let this book release your feelings through verse. Allow the words to set you free. Proceeds from the sale of this book are being donated to a leading UK mental health charity.